The beauty website aims to open 200 offline stores by 2020. India’s largest beauty e-commerce space, Nykaa is planning to expand offline. The beauty website aims to open 200 offline stores by 2020. Inspired by Sephora, Nykaa will cater to the need for a multi-brand retail format that gives unbiased advice to consumers, being able to guide them on the right products for their beauty and health concerns. Nykaa is considered among the top players in e-commerce today. The secret to the success of the beauty portal is, first their selection. Nykaa have the widest brand assortment in India for beauty. Any beauty brand you can imagine whether it is a local brand, national brand or international brand and even luxurious brand, they have it all. A large part of their focus is on brand assortment and getting brands and maintaining those brand relationships. It has been one of their core strengths. 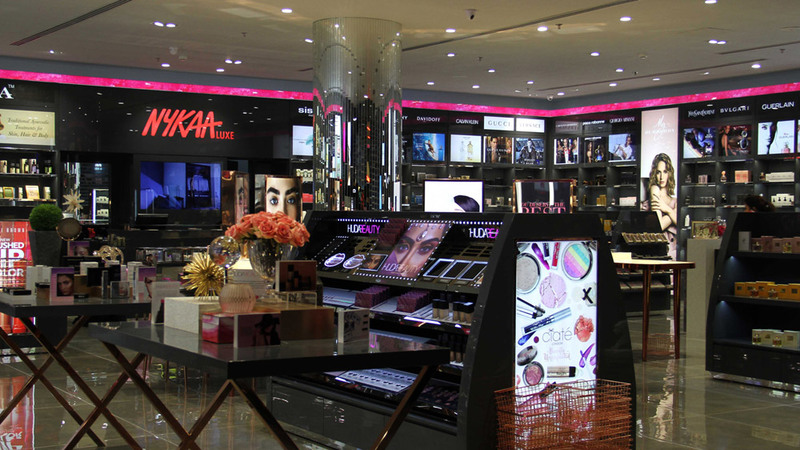 Nykaa has brought the luxury brands under the flagship “Nykaa Luxe store”. Luxe stores are brand-focused, offering various luxurious brands from around the world. By this, the company has made it easy for consumers to gain access to authentic products from international brands. Nykaa is also addressing the question, “Why should girls have all the fun?” Men grooming industry is witnessing a tremendous growth in recent years. The market for male grooming in India is estimated to be worth more than Rs. 5,000 crore. This has led to the launch of several brands and product ranges specially targeted to men. Nykaa is capitalising on the growing interest of male customers towards personal grooming by launching India’s first multi-brand e-commerce store for men, NykaaMan.com. A significant focus of the product selection is on men’s fragrances, luxury skincare and premium natural products as well. Nykaa is also exploring various fields apart from beauty retail. The beauty portal has also launched its designer store namely Nykaa designer studio, a curation of premium Indian fashion designers and Nykaa Pro – a portal for professional beauty consumers. hi i am interested in opening a nyka stores in Jamnagar(Gujarat). About Us: Nava Vision is a company based at Bengaluru, India. Nava Vision..
About Us: The One And Only "MOC The American Restaurant" A perfect..
About Us: ScienceUtsav is an edutainment program for children of age.. Challenges Brewing In The Beer Industry..
5 Healthcare Trends To Watch Out For..
8 Indian Restaurants Making Waves Abroad..
Scooping Successful Franchises in India..
Establishing an identity with Quality Service..
Why Diners Love This New Restaurant Concept?.. An Overview of Education System in India.. Innovating The Coffee Biz With A New Concept..
Growth Drivers For Wellness Brands..
Why This Startup is Focused on Theme..
“Go Vegan with Zero Pesticide Procedure”..
3 Startups Transforming The Fitness Industry..
Tech Driven Opportunity for Businesses in Ind..
Concocting Love and Emotions Together..
Rolling on the Midnight Food Business.. Profitable Education Franchise In Chandigarh.. The new age table reservation.. Riding On a Safe And Profitable Journey..